Both adults and children benefit from spending time in the great outdoors, and it’s not just because of the so-called sunshine vitamin. Research shows that nature inspires awe in people, and that feeling of wonder is hard to find in a world that sometimes runs at a frantic pace. Some children are naturalists, meaning they learn best in an outdoor environment where nature’s minerals, flora, and fauna are on display. In other words, some children are at their best when they’re outside. They’re capable of solving problems better in the open air than, say, sitting at a desk. While it’s not possible to conduct class outside every day, educators must simply remember to incorporate outdoor playing, walking, and learning activities into the curriculum. It’s a great opportunity to discuss caring for the environment and the importance of not causing harm to the earth’s ecosystem. Some schools have begun growing plants and vegetables in greenhouses both as a science lesson, and as a way of showing how important it is to watch over the food chain. Poor nutrition is a national epidemic, so it’s time to take ownership of our food supply. Greenhouses and outdoor equipment and supplies are pricey, so your school may want to look into buying used or new equipment from an online auction. And by all means, if you no longer need some of your outdoor supplies, be sure to list them for sale so another needy school can acquire them. You can even list them for free on a new educational network website that’s up and running. The benefits of spending time outside are endless. 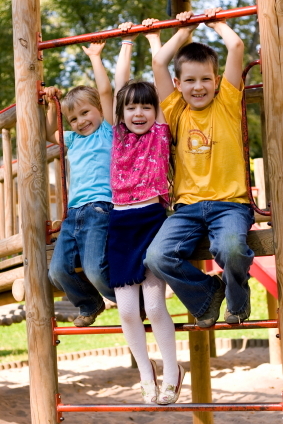 Recess offers time to play, interact, and enjoy the sunshine. As kids get older, schools tend to shift their focus away from outdoor time. Can your students afford to forgo that time? With our environment hanging in the balance, kids need to appreciate and value all that Mother Nature has to offer.